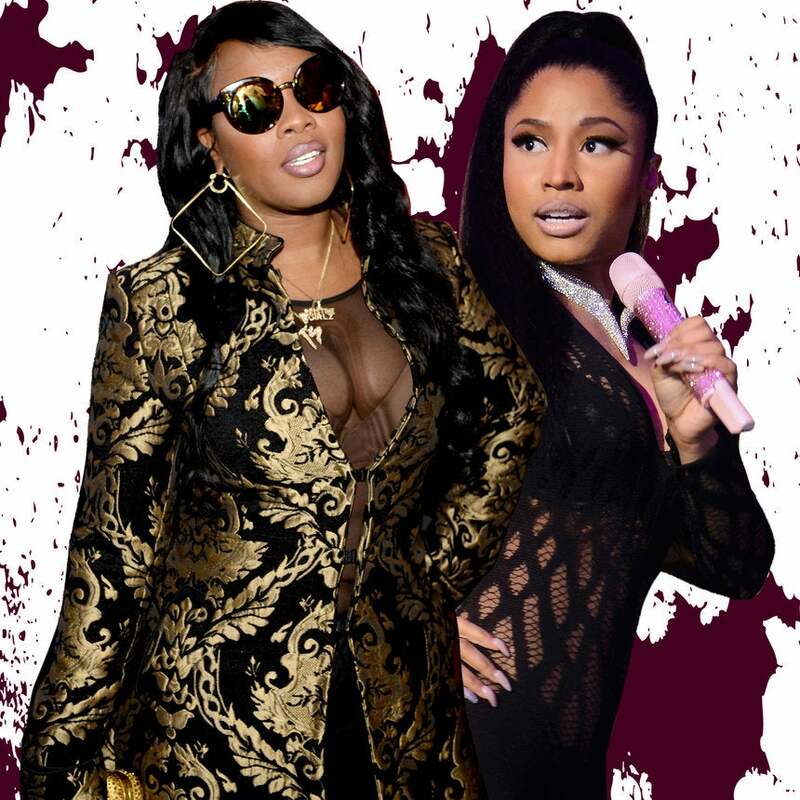 Nicki Minaj and Remy Ma set social media ablaze over the weekend when their months of subliminal shots exploded into an all out rap war. Caught of guard by the ferocity of the bars, many fans of both female MCs were left wondering — what started this whole beef? The first salvo came late Friday night in the form of a guest verse by Nicki on Gucci Mane’s new track “Make Love.” Though she never explicitly named Remy on the track, Nicki confidently shuts down any other suitors to her throne. Lines like that, sprinkled throughout her “Make Love” verse had the Barbz ready to declare Nicki Minaj unassailable Queen of Rap. Both ladies have thrown subliminal shots for months, yet Remy insisted in a recent Hot 97 interview that she had no problems with Minaj and wouldn’t hesitate to call out anyone she had issues with by name. She spits for 7-minutes about Minaj’s failed relationship with Meek Mill, rumors of cosmetic surgery, her brother’s legal troubles, and even references Minaj’s previous feuds with Taylor Swift, Mariah Carey, and Miley Cyrus. Looking to fortify her claim as the Queen of Rap, the reverberations of Remy’s “Shether’” have been felt across the hip-hop landscape, prompting reactions on Twitter by Trey Songz and Hot 97’s Ebro for their respective mentions on the song. Nicki stay name dropping Beyoncé. I guess to rescue her??? Sis, Beyoncé didn't even defend her husband in that elevator. The ball is now unquestionably in Nicki Minaj’s court. Remy pulled out all the stops in “Shether” and no amount of Instagram posts will gratify the fans who have been waiting for this rap battle since Remy’s release from prison. So now, Nicki Minaj has two options. She can choose the high road and ignore the explicit shots Remy has fired. Or she can fire back with an equally scathing diss record and regain the momentum in this high-anticipated feud.